Relive your wild youth with A Flock Of Seagulls, Wang Chung, The Vapours and More! Why See Lost 80s Live? It's time to tease your hair to new heights and get your neon spandex out of storage 'cause the Lost 80s Live tour is hitting the road and reviving the music of the decade of decadence once again this Summer! Filled with back-to-back hits, this extra special nostalgic show features the retro synthscapes and bubble-gum melodies of the legendary Wang Chung, A Flock Of Seagulls, When In Rome, Farrington Man and Missing Persons, The Vapors, Bow Wow Wow and many more! 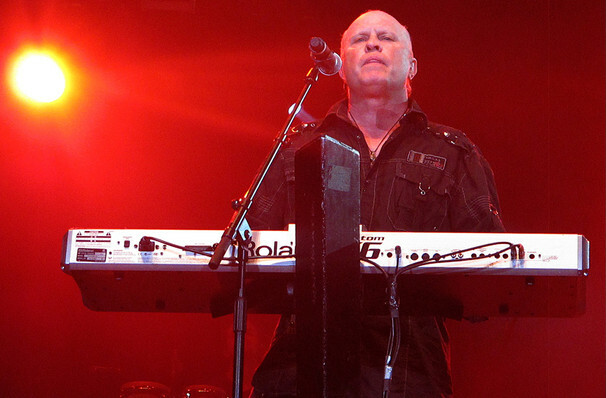 Grammy-winning English new wave heroes A Flock Of Seagulls are perhaps best known for hits I Ran (So Far Away), Space Age Love Song and The More You Live, The More You Love. Fellow Reagan-era Brit synthpop idols Wang Chung made their mark in the states with their rock-edged hit singles Dance Hall Days and Let's Go, while When in Rome made us all bop to The Promise. Please note: The line-up is subject to change, selected dates include Flock of Seagulls, Real Life, Modern English, The Vapours, Boys Don't Cry, John Par, Wang Chung, Missing Persons and many more besides. Please contact your chosen venue for more information. 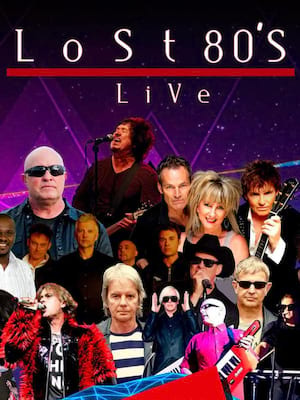 Seen Lost 80s Live? Loved it? Hated it? Sound good to you? Share this page on social media and let your friends know about Lost 80s Live at Aretha Franklin Amphitheatre. Please note: The term Aretha Franklin Amphitheatre and/or Lost 80s Live as well as all associated graphics, logos, and/or other trademarks, tradenames or copyrights are the property of the Aretha Franklin Amphitheatre and/or Lost 80s Live and are used herein for factual descriptive purposes only. We are in no way associated with or authorized by the Aretha Franklin Amphitheatre and/or Lost 80s Live and neither that entity nor any of its affiliates have licensed or endorsed us to sell tickets, goods and or services in conjunction with their events.